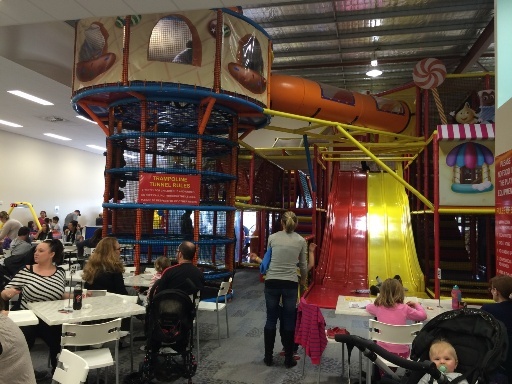 Lollipops Playland Jandakot is located just a short drive off the Kwinana Freeway, on Karel Ave just off Roe Hwy, south of Perth. 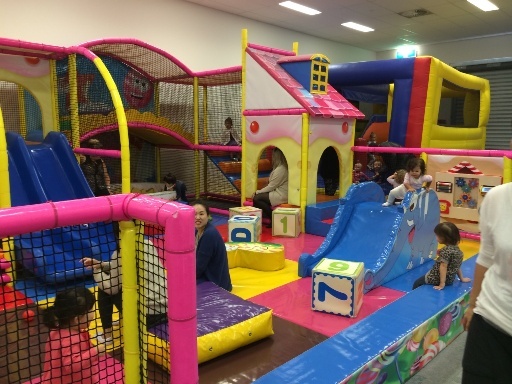 It has a big multilevel play structure that includes a few super fast slides and a battle ball area where kids can shoot foam balls around, under 4's area, bouncy castle and a pirate ship ride. 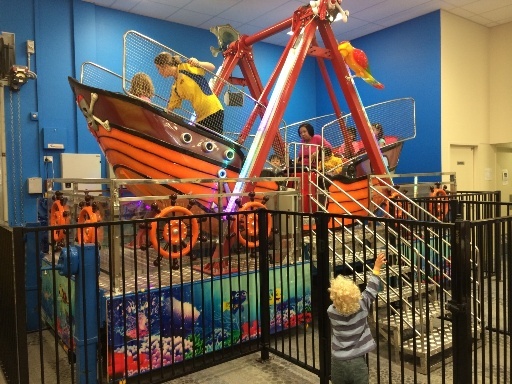 The first thing you'll notice about Lollipops Playland is that safety of your child is #1! 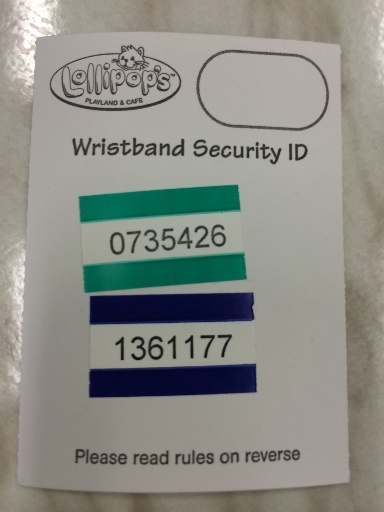 They have a security check out system, so your child is given a wristband with a number on it and you are given a card. You must show this card matches with your child's wristband before you can leave to ensure that persons other than the child's parent or caregiver cannot take your child from the centre. It also features this big jungle climb that was a favourite with my boys, it definitely challenges their climbing skills trying to pull themselves all the way to the top. There is also a great little under 4's area with mini play structure, a ball pit and some floor level play toys. There is a small bouncy castle behind this area too. One of the most unique features of Lollipops Playland Jandakot is the Pirate Ship ride. This runs every 30 mins or so - an announcement is made when it's time to line up. 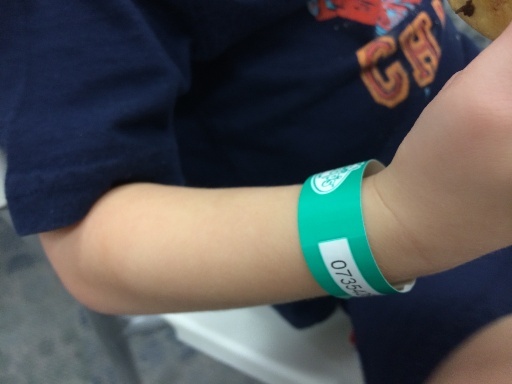 Children under 4, identified by a green wristband, can ride but they must ride with an adult. There is a big seating area, we visited on a Saturday and was really busy but there were still plenty of tables and chairs to sit at. The cafe has a great range of hot and cold light meals and drinks, and has a range of kids meals available too. There are some lounges which are perfect for nursing mothers to use - highchairs and a baby change table are also available. 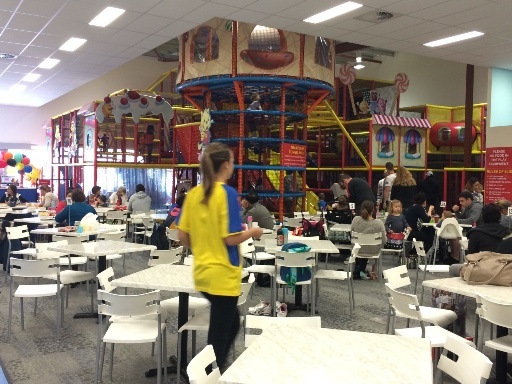 Lollipops Playland Jandakot is safe, clean and provides hours of fun for your kids. They can also help you out with all your child's birthday party needs too! Make sure you check it out soon.